August 27, 2009 Stanley H. (Third Trip to Big Lake) & Friends Bill& Jim Catch a Bunch!!!! August 27, 2009 Stanley H. (Third Trip to Big Lake) & Friends Bill& Jim Catch a nice mixed cooler! Nice Trout & Flounder were happy to take our Gulp Shrimp and live shrimp to make Stanley’s third trip with Captain Tom his third success! Fall Fronts are starting to make their way down to the coast and the water temps are starting to fall and the fish will get hungrier as they do, and the fall Trout Run is about to get in High Gear!!!! 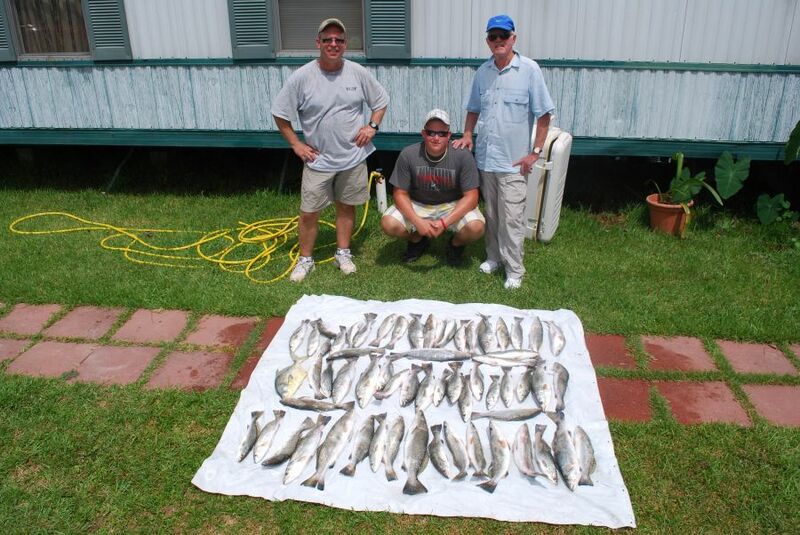 Call 318-675-9114 and Book a Great Fall Trip Now!!!!!! 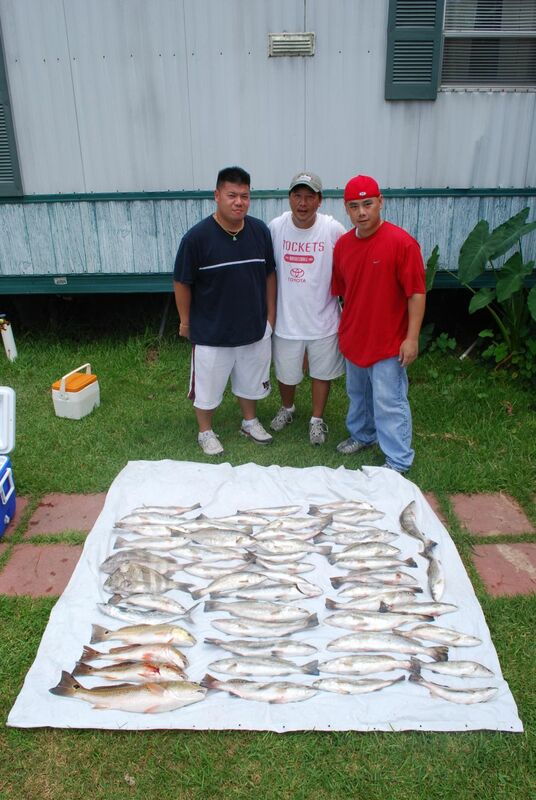 August 5, 2009 Howard L. of Houston Makes his 8th Trip with Friends Dan & Daniel!!!!! August 5, 2009 Howard L. of Houston Makes his 8th Trip with Friends Dan & Daniel! The Trout are on Fire and Berkley Gulp Loads the boat again with a nice mess of fish. 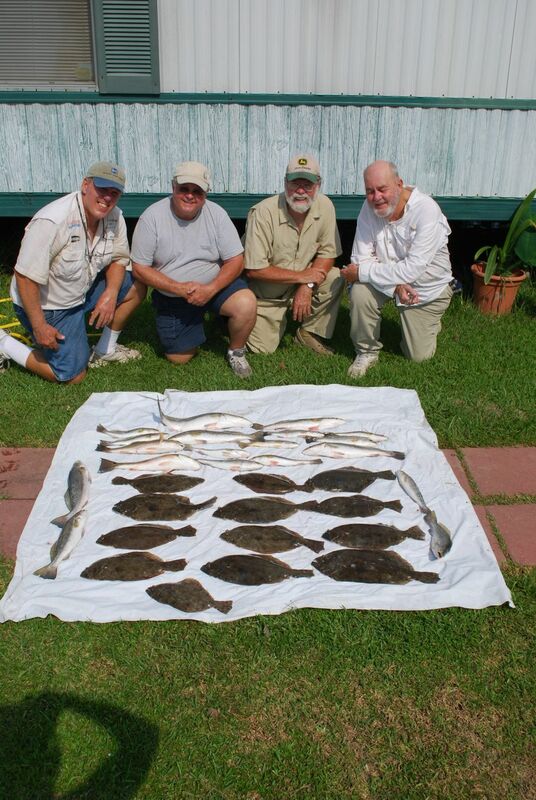 They had such a great time he’s comming back October 3 to get in on the great fall trout run on Lake Calcasieu! August 4, 2009 3 Generations of Kerrs Visit Big Lake For a Fishing Fiesta!!!!!! August 4, 2009 3 Generations of Kerrs Visit Big Lake For a Fishing Fiesta! The full moon seams to have driven the Lake Calcasieu Trout Biting Crazy!!!!!!! For this Grandfather, Son, & Grandson Berkley Curlytail Gulp filled the cooler with 60 Nice 2 to 3 Lb trout by 9:30 AM!!!!! What a family trip tp remember.